Winter Wonderland Concert Series - Tomorrow! The holidays may have ended, but the celebration of the season continues in Lyons, with three Saturdays of small-town fun! 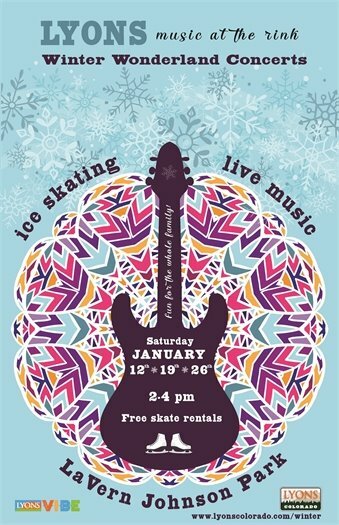 On January 12, 19, and 26, join the community in LaVern M. Johnson Park, for live music, free ice skating and skate rentals, hot cocoa, and winter festivities for the whole family. Help us keep this event green by bringing your own mug for hot cocoa! We'll still have live music and fun in the park, regardless of ice rink conditions. Each week's event takes place from 2 p.m. to 4 p.m. Parking in LaVern Johnson Park is free for event attendees. Spend the afternoon with us before or after enjoying a bite to eat downtown. Lyons has you covered for some fun winter Saturdays! If you want to do more than talk with friends or post to social media about important issues and events, it’s time to get involved and make a difference in your community. The Board of Trustees can use your passion, opinion, and vision for our community, by joining a Lyons board or commission. To learn more about the boards and commissions, and apply online, please visit the Boards and Commissions page. 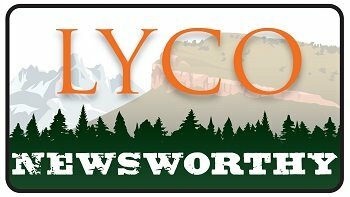 The Town of Lyons, with support from Boulder County, is continuing its EcoPass program for all Town residents through 2019. Plus, the fee has been reduced to $30* per pass in 2019 - the pass has a retail value of over $2,000! The Lyons EcoPass provides residents with free use of any RTD bus and light rail services, which includes the “Y” service from Lyons to Boulder, buses to the airport, and buses and light rail in and around Boulder, Longmont and Denver. If you paid for an EcoPass before June, 2018, you will need to renew your card before the end of February, 2019 (most people fall into this first category). All existing EcoPass holders who do not pay the 2019 fee by the deadlines above will have their passes deactivated, rendering them unusable. Additional emails will be sent to current EcoPass holders, detailing information of individual deadlines. You can also contact Sustainability Coordinator, Toby Russell at trussell@townoflyons.com or 303-823-6622 ext. 46. Tuesday, February 5, from 3 to 5 p.m.
Join Can'd Aid Foundation, Wild Basin Boozy Sparkling Water, and Oskar Blues Brewery on Tuesday, February 5, from 3 to 5 p.m., at Black Bear Hole, in an effort to clean up the St. Vrain River. Can'd Aid will provide all necessary clean up equipment - just come ready to dive in and give back! Following the cleanup, volunteers are invited to gather at Oskar Blues Grill & Brew for an after party. Highland Ditch has begun construction on making safety improvements to the diversion structure behind Lyons Valley Park. The construction includes adding rip rap (rocks) to stabilize the bank to help with erosion, and a 4:1 slope to the backside of the structure, creating safer conditions than the current vertical drop. They anticipate the work to take place over the next several weeks, and should be complete before Spring runoff. Please direct questions to Linda Lee, at llee@townoflyons.com.